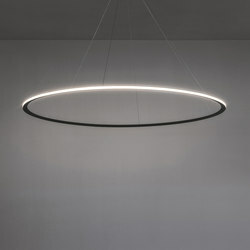 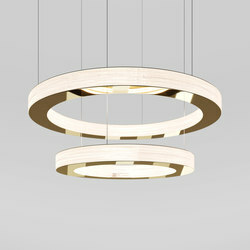 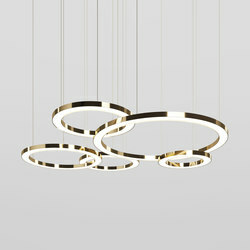 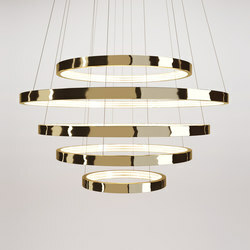 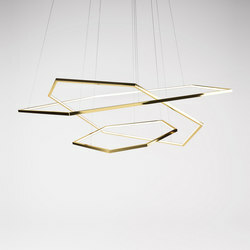 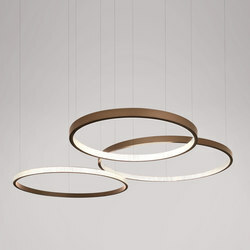 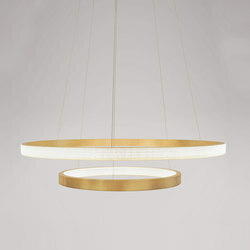 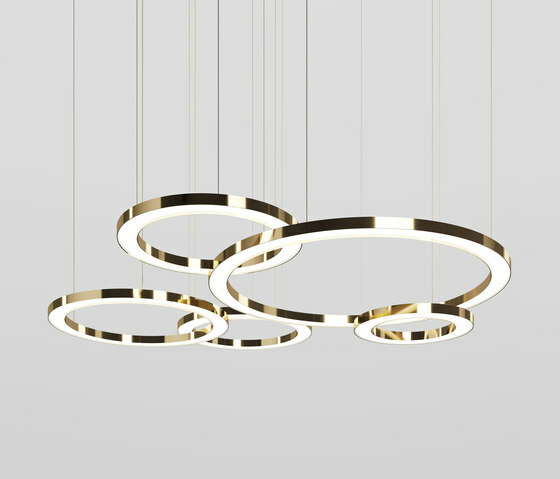 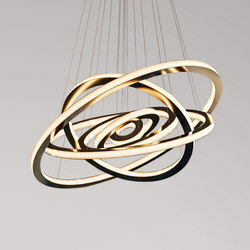 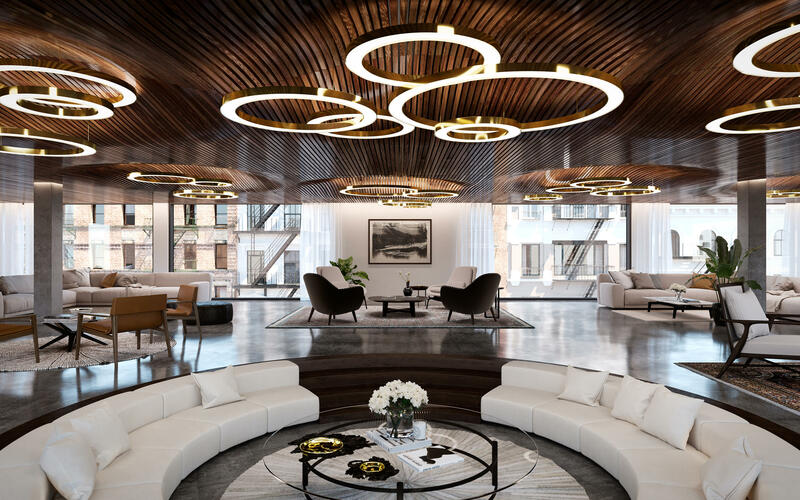 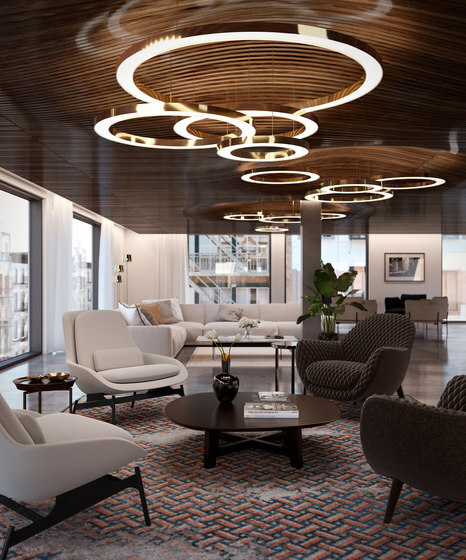 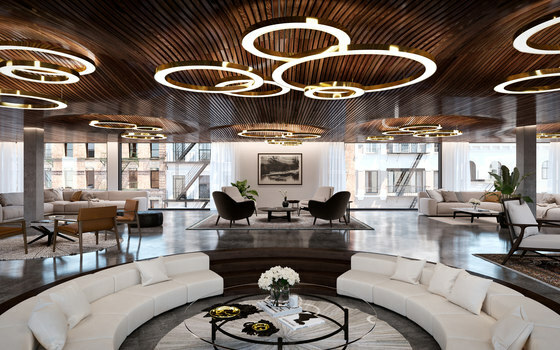 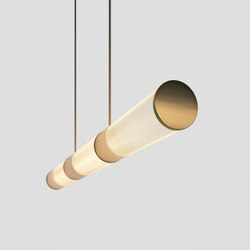 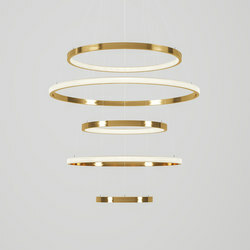 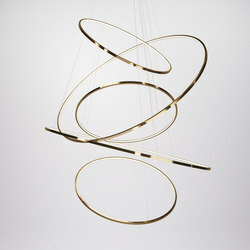 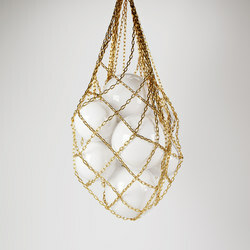 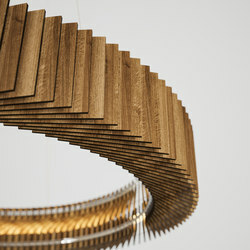 The Mahlu floating circular pendant creates a warm inviting glow by emitting light from both above and below the rings. 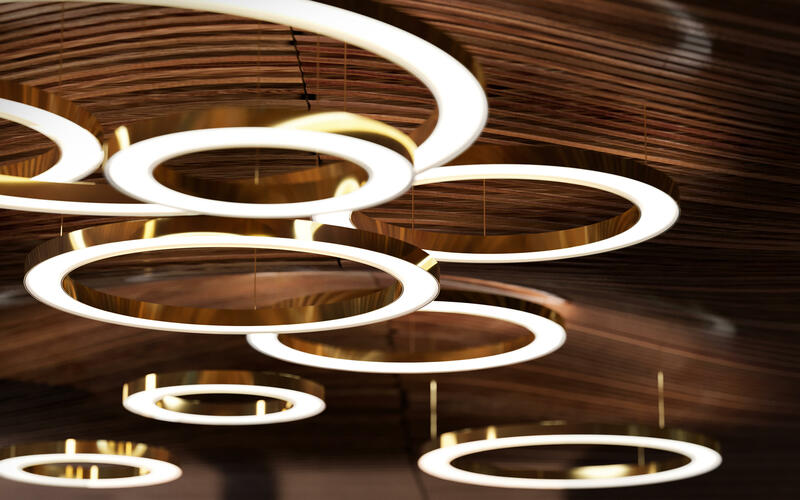 The pearlised diffuser and wide profile gives the Mahlu a discerning elegance, allowing it to seamlessly fit into any interior.The Mahlu has been designed with the versatility to be a statement piece as a single ring or with multiple rings at varying sizes. 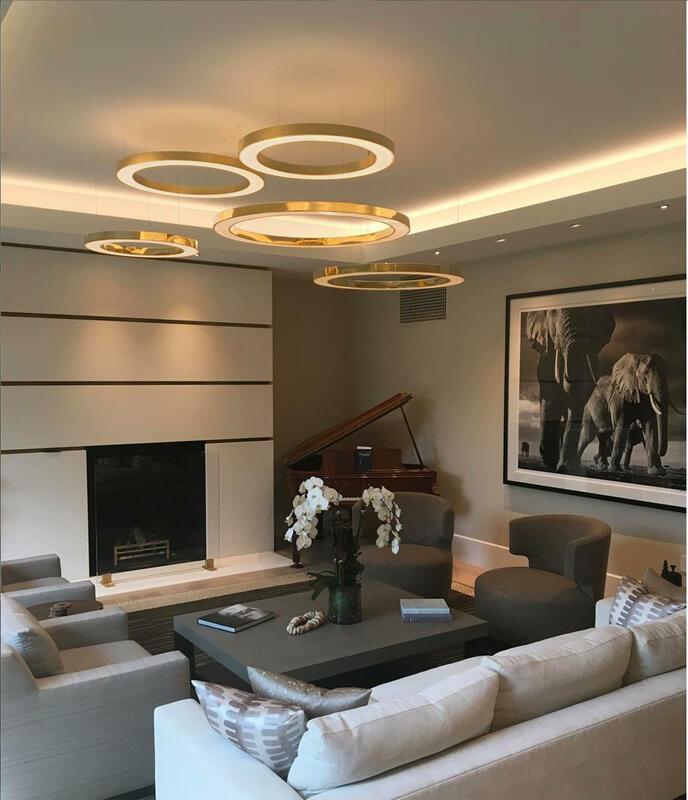 Bespoke options and design service available. 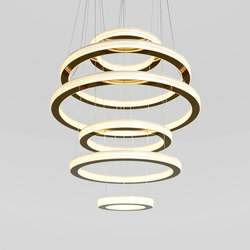 Standard profile size: 50x100mm or50x60mm. Bespoke options available, from 50 to 200cm rings diameters. 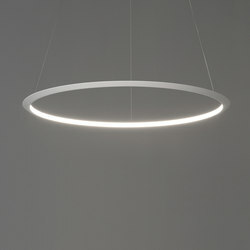 Integral LED lighting. 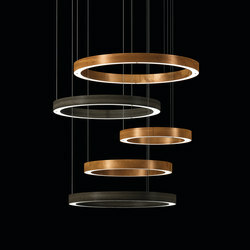 Polished and brushed metal or powder coated finishes available.